Even before we gave Harley her own tablet, we were looking for video content for her. The reality is that screen time isn’t 100% evil, and honestly, sometimes we all need time to zone out – her in front of a video and me without a two-year-old demanding my complete attention. That said, I still like to encourage her to watch things that expand her mind, teach her something, or are generally worthwhile. She found Dora the Explorer all by herself because toddlers are terrifyingly brilliant creatures, and here’s what I think about it. 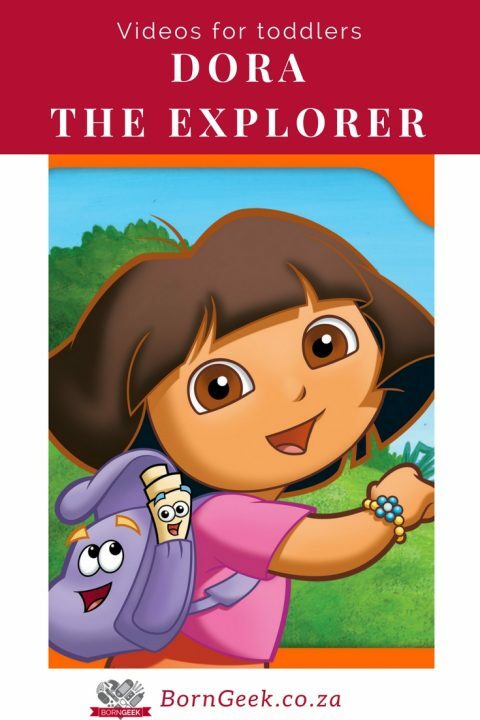 What is Dora the Explorer? Dora the Explorer centers around the adventures of Dora and her monkey companion, Boots. Each episode follows the same essential pattern as she and Boots decide they want or need something. They then consult the map who gives two landmarks along the way to help them get where they need to go. At some point, they also get help from the purple backpack that holds some item they need to continue, plus there’s always an encounter with Swiper the Fox who tries to steal something and ruin their journey. 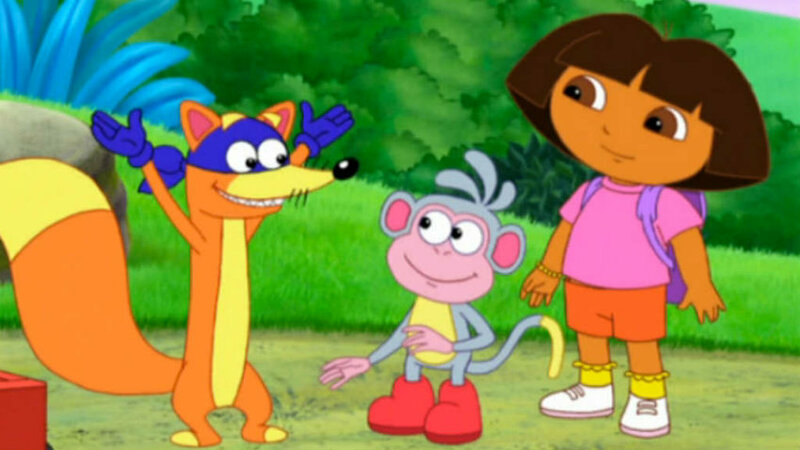 They break the fourth wall throughout the show, encouraging audience participation, and they also introduce a new Spanish word or two during the episode thanks to Dora’s Latina heritage. I like the fact that Dora is so adventurous and goes on all kinds of weird journeys. I think it’s great to have a female lead character like this in any series for kids, and it’s particularly great that she’s bilingual with a clear Latina background. The repetition makes it easy to follow, and the show has a couple okay aspects from a developmental perspective. For example, every show asks the audience if they can see things – whether it’s a hill in the distance or Swiper about to steal something they need. They also use a bit of Spanish interspersed throughout the show to help kids learn new words, and every episode has the same songs to help build musical recognition. Most of all, Harley seems to really like it. She often asks for it, and finds it on her tablet without any help from me! I really dislike that there is a villain in this show. Harley is actually afraid of Swiper, and will ask to hold my hand whenever he’s on the screen. Normally, kids’ shows stick with everyday problems or social issues as the source of conflict in the show, and I’m not sure I like the invention of this weird villain in Dora the Explorer. I also find the episodes to be far too formulaic. I’m sure it’s great for repetition for kids, but it ends up feeling like it’s actually doing very little for her attention span, and as a parent it makes it nearly impossible to watch the epsidoes together. Plus, while Harley clearly enjoys the show, I just don’t find it as visually interesting as other animated offerings out there. Where is Dora the Explorer Available? Dora the Explorer is part of the Nickelodeon offering, so you can often find it aired on the Nick and Nick Jr channels on TV. There are also a ton of seasons available through Amazon Prime, so you can stream them if you prefer. Does your kid like Dora the Explorer? Which series does your little one enjoy the most, and which ones are you happiest to sit through, too?